Audubon Greenwich will host the second annual Sustainable Food & Farm Expo on Sunday, May 31, from 10 am until 5 pm. This year’s Expo will showcase high quality food producers, retailers, a celebrity chef, and farmers who will teach guests how to prepare and enjoy a wide variety of local and sustainably grown foods, plus grow some of their own. Register online for tix. The public is invited to enjoy twenty food exhibitors and vendors plus talks, demonstrations, and tastings with a wide range of experts every thirty minutes. 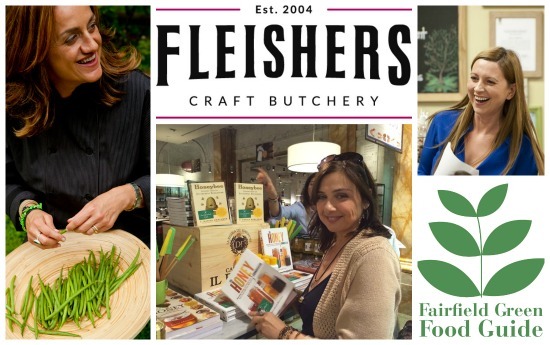 Fleisher’s Craft Butchery and Grass Rxoots will cater lunch, snacks, and beverages suitable for vegans, vegetarians, omnivores, locavores, and those with food allergies or adhering to an organic diet. Chef Silvia Baldini of Strawberry and Sage will share her passion for cooking in three different culinary demonstrations and tastings where locally sourced ingredients take center stage.